Compressed air is the main source of energy for all pneumatic braking systems, air suspensions and clutches in commercial vehicles. 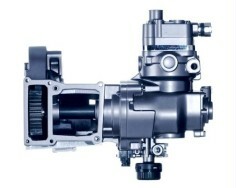 The main component in air provision is the compressor itself. Driven, as a rule, by the vehicle´s engine, it produces the necessary compressed air for all the air systems. The Knorr-Bremse product portfolio covers a wide range of requirements in terms of transport and propulsion. The range includes flange mounted - with direct gear drive, or base mounted - with belt drive, one or two cylinder compressors. They can also be supplied with our optional energy-saving system (ESS). 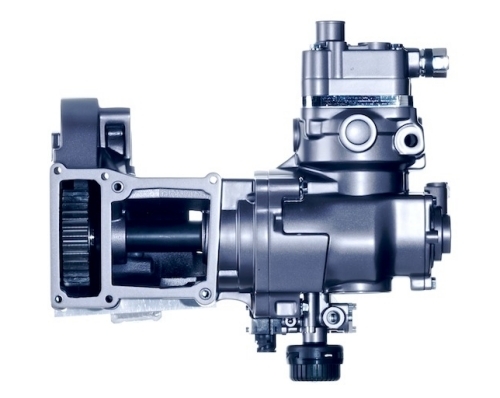 A further Knorr-Bremse innovation is our compressor with clutch which, as well as delivering considerable savings in fuel costs, also reduces oil emission. For hybrid and full electrical commercial vehicles we also offer an screw compressor for supplying the pneumatic system with compressed air.